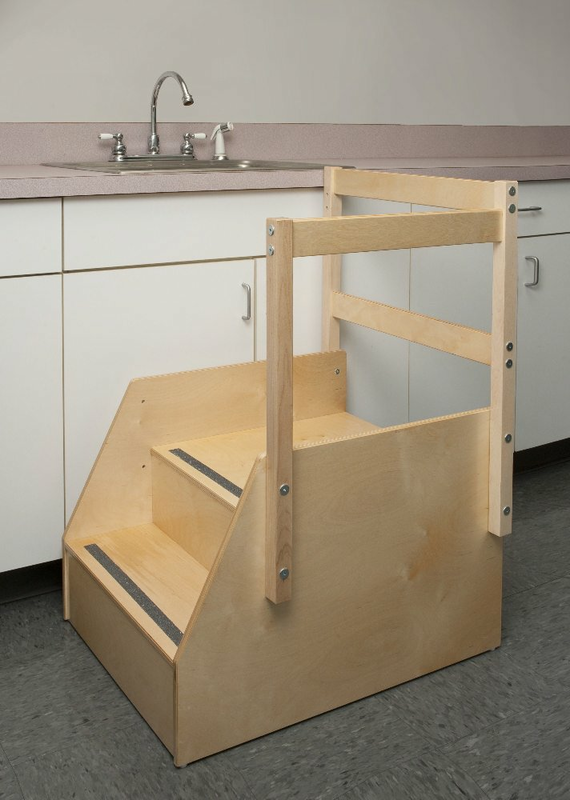 Safety steps to a sink or clothing area. Guard rail can be installed so children can access the steps from the right or the left. Clever safety design requires the child to turn toward or away from the steps and look for the guard rail. GreenGuard Certified. Made in USA. Lifetime Warranty. 36in. × 24in. × 28in.